The laws today are more complex than when the Peace Development Fund began funding lobbying by grassroots organizations in 1988. Nonetheless, public foundations like PDF may support public charities which engage in lobbying—another strategy to use in movement building. Last year’s Citizens United Supreme Court ruling added even more money and influence buying into politics. Yet people—not corporations “who are people too”–have the right to say what they want to say. Especially in the upcoming election year, we need to be sure that all voices are heard. As the Occupy Movement shows us, speech can, and should, trump money. 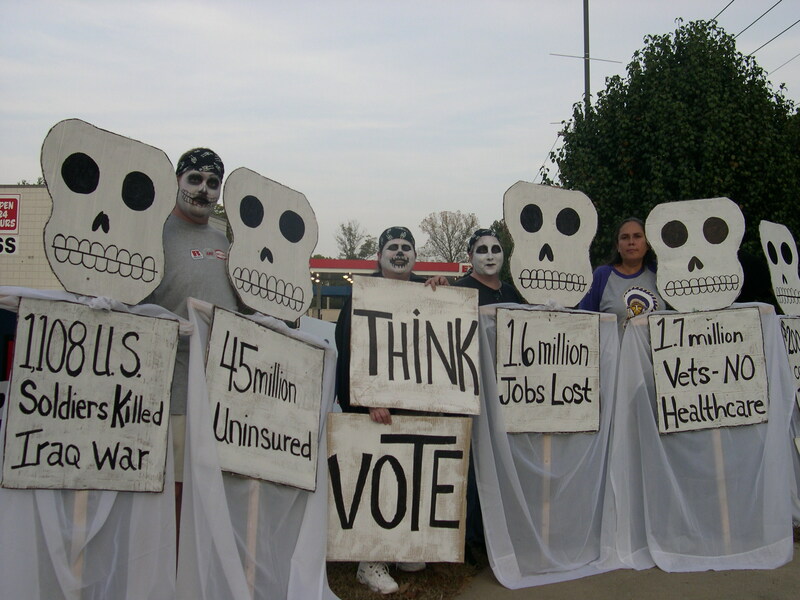 Last summer, Senator Alan Dixon of Illinois received 7,000 letters from Chicago voters in the space of seven weeks, demanding that he vote “no” on Contra aid. When asked if those letters could influence a man who had voted “yes” three times before, his aide said: “This is not a poll. This is the very thoughtful input of 7,000 people who have taken the time and used their personal feelings to express it in writing to their Senator. Their feelings are something he has to listen to… they will have a major effect on his vote.” In fact, Senator Dixon did listen – he voted “no” to Contra aid in the February ’88 count. In a time when many citizens feel powerless to influence policy, it is heartening to realize that our elected representatives do listen – and not just when they are up for re-election. 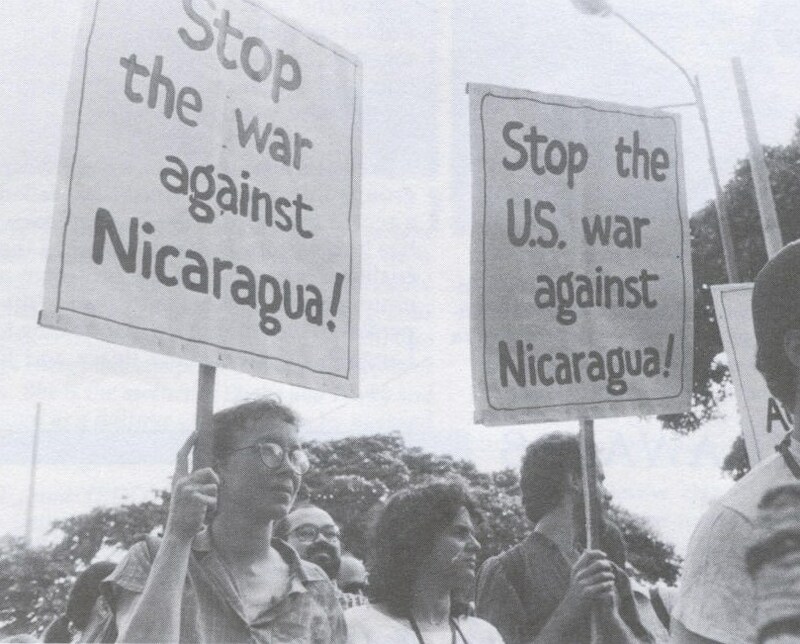 True, public opinion alone rarely changes policy; we only need to look at the massive public support for the Freeze, or the ERA, or an end to the war in Nicaragua. But when people get truly motivated to do something to make their opinion felt – take to the streets or to their telephones, write letters to editors – they can have influence in Washington. Lobbying is one of several kinds of action, and at the right time it can be very effective. The Peace Development Fund has an educational and charitable tax status that allows us to use a small portion of our revenues to support lobbying activities. Many peace groups we have funded include lobbying as part of their work, but increasingly, groups are being organized for lobbying purposes only. They research, strategize, and respond to legislative issues, and sometimes help to draft legislation. Often providing a direct and vital link between Washington and the grassroots lobbying groups keep in regular contact with legislators while building the strong local base needed to put through key legislation. Some groups spring up around immediate, single issues, calling for urgent, widespread action; others are organized to respond consistently to issues that arise in the context of a more distant goal. PDF and PPF also support the less dramatic efforts of organizations designed to apply continual, persistent pressure for the long term. Two examples are the 20/20 Vision Project [editor’s note: now a project of EarthAction] and the Peace Missions. “20/20” combines education with action through its postcard campaign. With $20 a year and a commitment of 20 minutes a month, you can receive each month a brightly colored postcard giving all the information you needed to write a letter or make a call to your congressperson; you can also get involved on the research and strategizing level. “20/20” now has projects in several states and has been endorsed by national organizations. Using a different strategy, the Peace Missions provide training and logistical support for weekly lobbying trips to Washington. Originating in Rhode Island, the Peace Missions concept has spread to nine states over a period of three years and, with a new organizer’s manual put out by the Coalition for a New Foreign Policy in Washington, is eagerly seeking new chapters. In another kind of linking, the San Francisco Freeze found itself with an excess of resources and all its representatives were voting right on the issues. So this fall, they raised money in Northern California to defeat Contra aid in two swing-vote districts in Nevada and Michigan, sending their funds through Countdown ’87. They plan to adopt other “sister districts” as need arises. “But does all this really make a difference?” we so often ask, as we reach once again for a pencil to sign a petition, lick the stamp for a letter to Congress, or pick up the phone for a call to Washington. The answer is definitely YES, however it may seem otherwise. People in the peace movement get discouraged – they see, for example that all their efforts to stop the arms race have barely been able to stop the building of new weapons. They forget how long it all takes. Historically, legislative efforts that succeed in bringing about significant change are the last stage in a long process. Before then, there has to be a real turn-around in public opinion through education and consciousness-raising and committed action of many kinds. When the public comes to accept the alternative policy, lobbying is very effective, even crucial, for changing policy. Comments : Comments Off on Will They Listen Today?